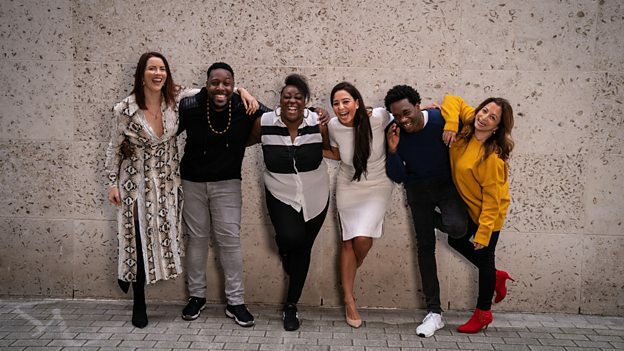 A fresh new sound comes to BBC Radio London’s evening shows from Monday 26 November as six new presenters take over from 8-10pm. 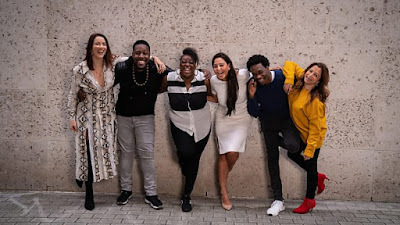 The six new presenters fronting The Scene have backgrounds from across London’s cultural, music, comedy and spoken word worlds. Aurie Styla is a well-known stand-up comedian on the circuit. He has had two sold out tours and his ‘Sniper Pose’ from the BBC Black Comedy show went viral. The Scene with Aurie Styla is funny and informative - speaking to Londoners from all backgrounds about the cultural and entertainment scene in their communities, whilst touching on relevant topics. Claira describes herself as an adventurer, lover of life, story sharer and positive thinker. Claira's connection to the UK Grime and Hip Hop scene has seen her present for GRMDaily, SBTV, BT Sport and numerous other platforms. She also has her own YouTube channel where she shares celebrity interviews, vlogs and honest, open videos on topics close to her heart. In early 2015, Claira had a preventive double mastectomy and reconstruction after discovering she carried a cancer causing gene mutation. Both Claira’s mum and sister died of breast cancer which has acted as a driving force for Claira to share her experiences and her message of positive living and self-care through video, radio, print and online. The Scene with Claira Hermet is a lively and fun mixture of live performance, topical discussion and interviews with guests from different cultures and communities in London. She aims to use her wit, charm and desire to inspire to bring listeners an experience that could have you laughing, learning and feeling motivated all at once. Every week she and her guests will be bringing us all the latest entertainment news in a special and unique way. Judi Love is a London comedian, her motto is "Laughter is Healing" and she regularly posts entertaining vlogs on her social media. Her topical Facebook Live weekly show, Real Talk, has seen her catapulted into the limelight with appearances on This Morning, BBC News, Comedy Central plus various radio stations including 1Xtra and BBC 5 live. She performed at Dave Chappelle’s secret comedy show in London October 2018 and is one of the rising faces at the renowned Comedy Store London. She is nominated for Best Comedian at the UK Entertainment Awards on Sunday 25 Nov 2018. The Scene with Judi Love is all about discussing hot topics with artistic people, bringing a fresh and colourful conversation with thought provoking topics and humour, along with live performances. Jasmine Dotiwala is a producer, director, broadcaster, arts and culture TV reporter and columnist from West London. Through her work with the Media Trust she supports and champions voices from hidden communities. Jasmine will draw on her huge list of contacts to talk to artists and performers from all walks of life. The Scene with Jasmine Dotiwala will shine a light on London’s diverse, grassroots arts and culture and give a platform to voices that too often go unheard. Salma is a writer, poet, spoken word artist and TEDx speaker. Half Egyptian half Irish Londoner she’s fighting for women, new narratives and spaces to share our stories. LionHeart is a London based Spoken Word Artist and TEDx Speaker. First Poet in residence at Grimshaw Architects he’s also the Co-Founder of SubjectivityUK and passionate about sparking dialogues that change lives and inspire conversation. The Scene with Salma and Lionheart shines a light on the exciting, diverse and fresh talent of London’s streets, the incredible creative heroes changing our city every day.